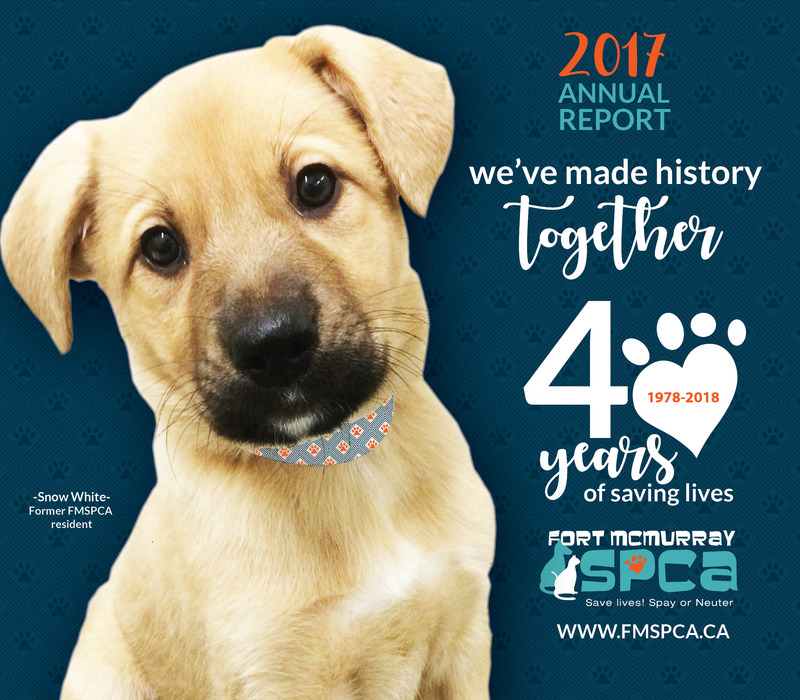 With the support of our community, the Fort McMurray SPCA educates, serves and inspires compassion in the treatment of animals by modeling best practices in all aspects of animal welfare. None of this would be possible without you. 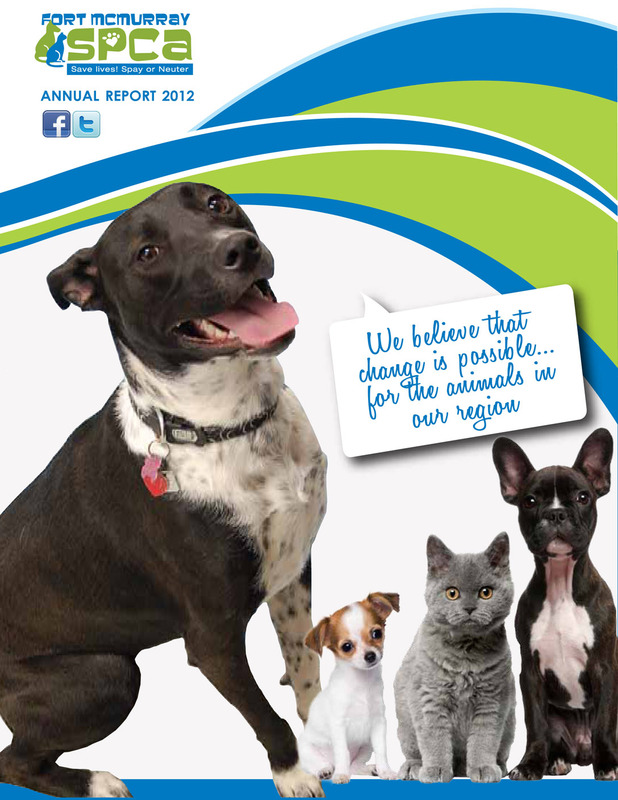 From the animals you have helped us rescue, reunite and rehome, we offer our heartfelt thanks. 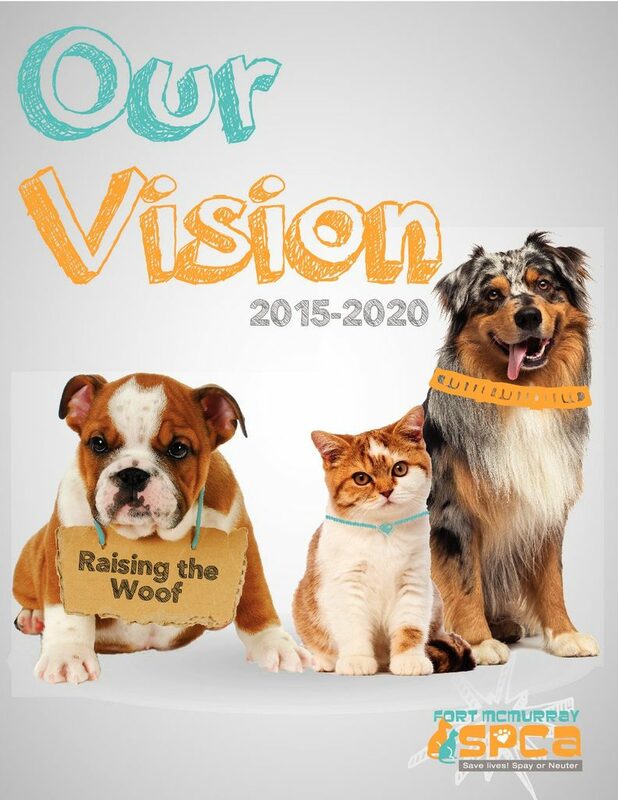 For more information you can read or download our Vision publication here. Acrobat Reader is required. To read our Wildfire Report click here. Our vision for the next 5 years is to become the advocacy and education leader of shelter services. Through improvements to our current facilities, expanding our humane education programs and fulfilling the needs of our outreach programs for health, preventative medicine as well as large scale spay & neuter, it is our goal to create healthy, safe communities for residents and companion animals. 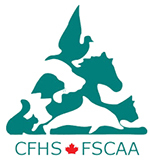 The FMSPCA is working to create a sustaining, revenue generating organization to meet the demands of the communities we serve by way of revenue generating services and operational efficiencies. Improved shelter facilities for companion animals that meet shelter services best practices such as cat rooms rather than cages, appropriate drainage and space to meet the standards generally accepted for modern shelter services providers. Ability to support appropriate staffing levels in order to maintain current programming and provide additional community needed programs and services. 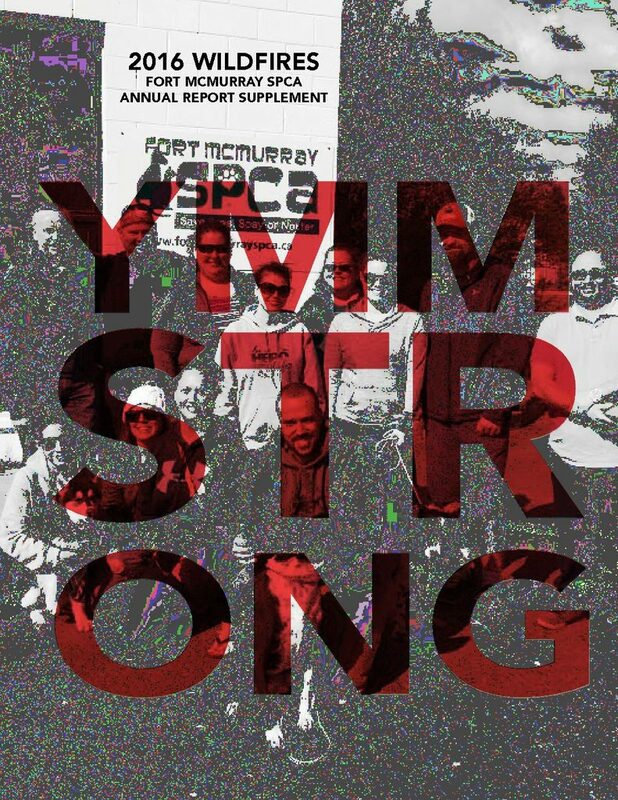 The FMSPCA provides programs and services within Fort McMurray as well as the outlying rural communities. 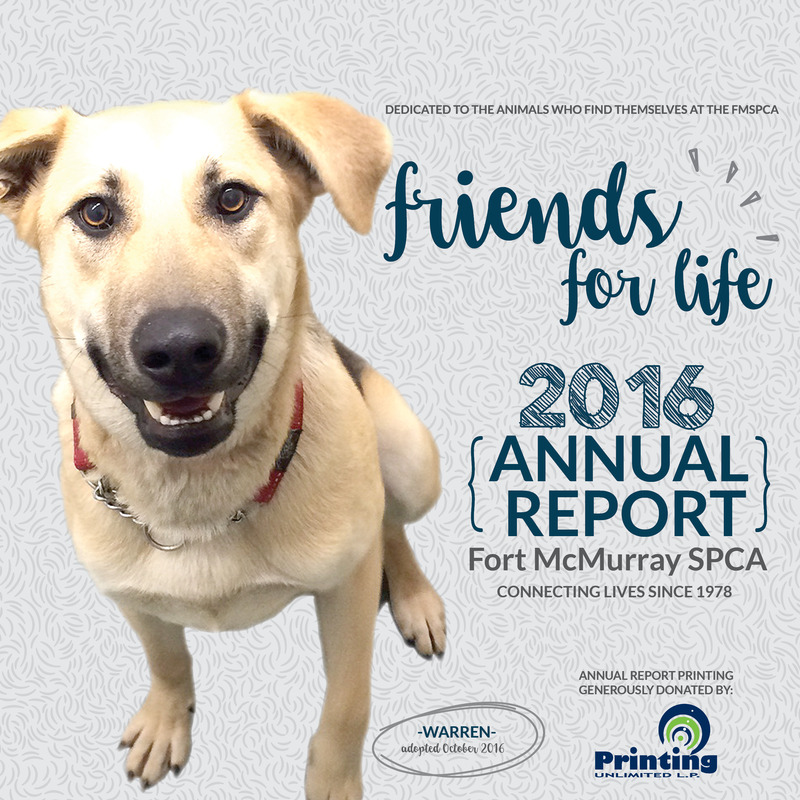 The FMSPCA serves all residents in every community of our region without consideration of social economic barriers, location or age group. 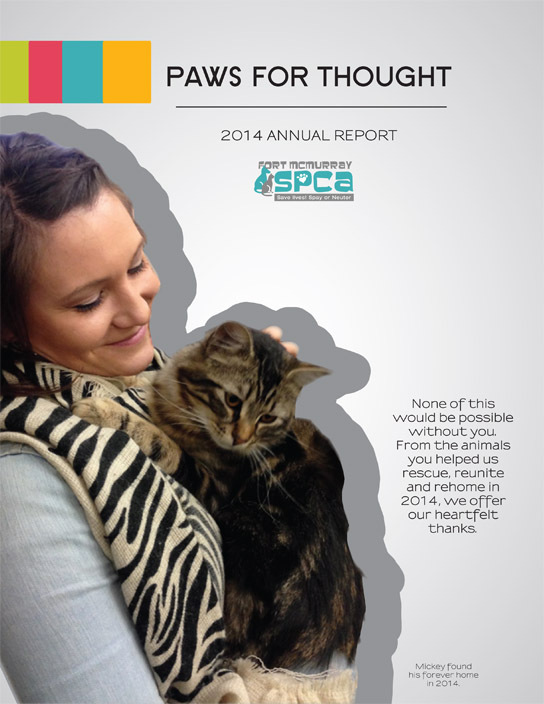 By educating and supporting regional pet owners the FMSPCA has the ability to further impact the human animal bond and ensure pet owners have access to needed supports so that they can learn proper care for their pets, access training to ensure appropriate pet behavior and create ambassadors for the humane treatment of animals. 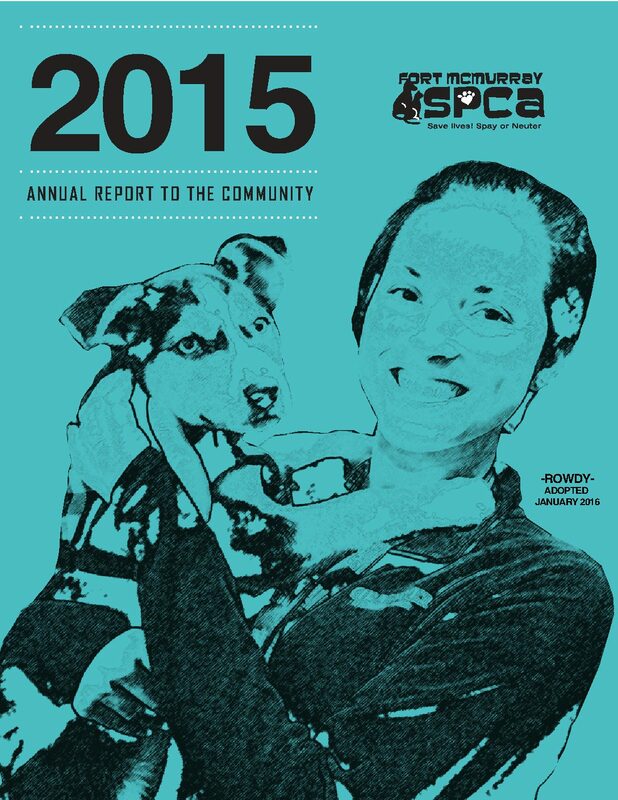 If you would like to read or download our Annual Report click here. Acrobat Reader is required.